Looking for a day trip or family activity? Check out cultural museums in PA! Learn about the histories of various ethnic groups and cultures in these special museums dedicated to specific people groups. Pennsylvania cultural museums are a fun way to learn and broaden your horizons! The Greatest Cultural Museum in PA! 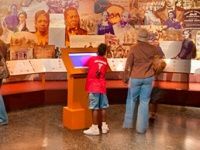 The African-American Museum in Philadelphia covers the roots of African-Americans and explains their roles throughout U.S. history. The museum focuses on the history of slavery, as well as how African-American culture evolved to what it is today. Explore the multitude of exhibition galleries and fascinating artwork. As 2011 marks the museum's 35th anniversary, one of the new exhibits/programs is Free to Be, which examines the impact of African-Americans in Paris from 1900-1940, chronicling their crossing of the Atlantic Ocean in search of a better life. One of the popular exhibits is Audacious Freedom, which focuses on African-Americans in Philadelphia from 1776-1876. You will become highly enlightened by stories from famous activists, one-man plays, and fascinating documentaries about the African-American experience. If you're searching for a great cultural experience in PA, this is not one to pass up! Visit One of the Best Museums in Philadelphia! Founded in 1976, the National Museum of American Jewish History has been presenting its many visitors with comprehensive programs that educate them on the history of Jews in America. 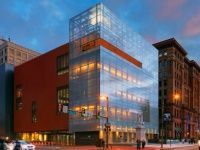 Whether you're Jewish and would like to be better enlightened about your heritage or you're fascinated by Jewish history, this great Pennsylvania culture museum will provide you with an experience you'll never forget. This state-of-the-art museum is located in close proximity to the Liberty Bell and Independence Hall. The 100,000-square-foot, 5-story building has served as a pillar of national pride amongst the Jewish-American community. Visit the variety of exhibitions, which chronicle 350 years of Jewish life. If you'd like to share your experiences as a Jewish-American or have a family story that's been passed along the generations, feel free to do so at this landmark cultural museum in PA.
Swedish History, Art, Architecture, Music & More! Founded in 1929, the American Swedish Historical Museum is the oldest Swedish museum in the United States. Dedicated to promoting and preserving Swedish and Swedish-American culture, this Philadelphia culture museum presents exhibits consisting of Swedish art, history, architecture, music, science and technology. A place for Swedes, Swedish-Americans and those interested in Swedish history can come to the American Swedish Historical Museum to appreciate the many contributions that Sweden has made to society. 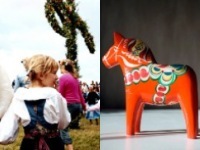 They hold many events throughout the year that showcase all types of Swedish history and art. Stop in to gain some Swedish knowledge and culture! 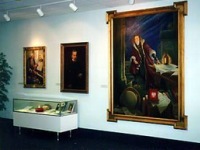 Art, History & Artifacts from Poland! A focal point for many Polish American affairs in Philadelphia, The Polish American Cultural Center and Museum Exhibit Hall offers all types of Polish history, art, and artifacts. This Philly cultural museum presents exhibits that highlight Polish folk art, customs and history through paintings and other forms of art. Stop in at any time from 10 am through 4 pm during the week, and take a free tour through the iconic Polish American Cultural Center and Museum Exhibit Hall! Don't forget to take a look around the museum gift shop for some great Polish and Polish American specialty items and gifts. Experience the Unique Philadelphia Mummer Culture! A cultural museum dedicated to the Philadelphia celebration of the new year, the Mummers Museum offers both a presentation of Mummers' culture, along with events and programs. Housing a large collection of Mummers' memorabilia and paraphernalia, the Mummers Museum offers a look at the spectacular costumes. 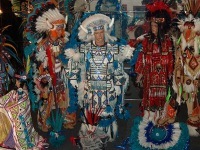 The host of many unique events and programs, the Mummers Museum presents bands, dancers and other types of fun Mummer presentations. Join in on the Mummers' cultural fun, and stop in at this one-of-a-kind Philadelphia cultural museum. There's even a gift shop, so you can take some Mummer memorabilia home with you!